Summer has officially arrived in Chicago! Even though it is only my second summer in this city, I’ve come to love what this season represents: patio life, festivals galore, lake walks, and out-of-town visits from family and friends (who can blame them for staying away in the winter months). For me, it also means slowing down, weekend visits to the farmer’s market, and spending a bit less time in the kitchen. We can get away with simpler meals and flavors in the summer months, and I love that. It is all about highlighting great ingredients and letting them do most of the work. 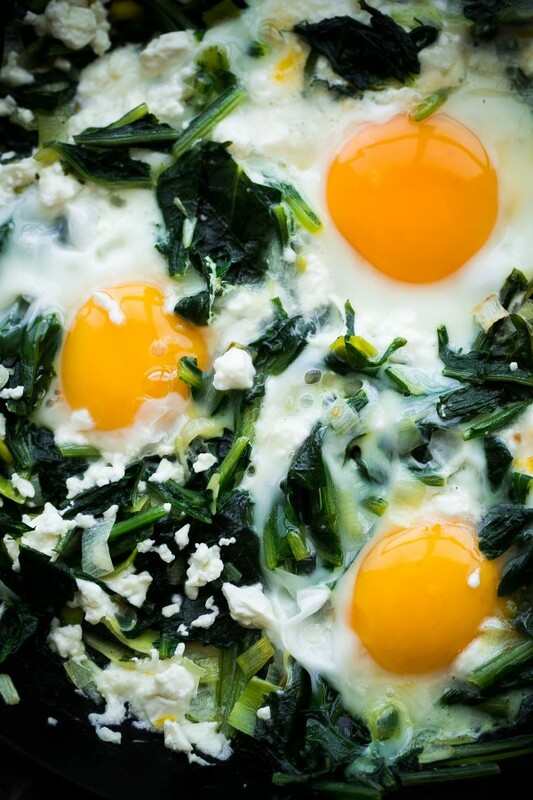 Today’s sautéed dandelion greens with eggs is very much in the realm of seasonal cooking. The ingredient list is short (only five ingredients, including butter) and the preparation is fast. It can serve as a quick weekend breakfast or an easy weeknight dinner! 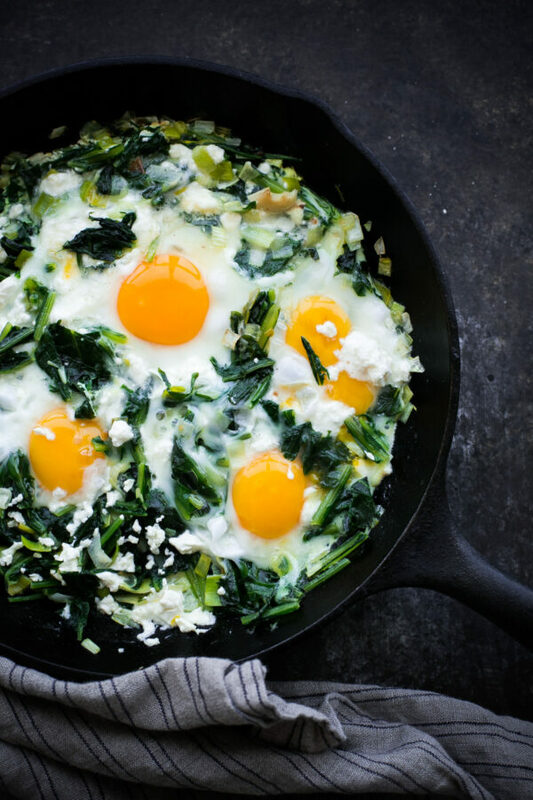 As you’ve probably noticed, the star of this dish is the fresh dandelion greens. Yes! The same dandelion greens that you’ve been cursing and pulling up from your garden for years and years. Did you know that you could eat those? You can! 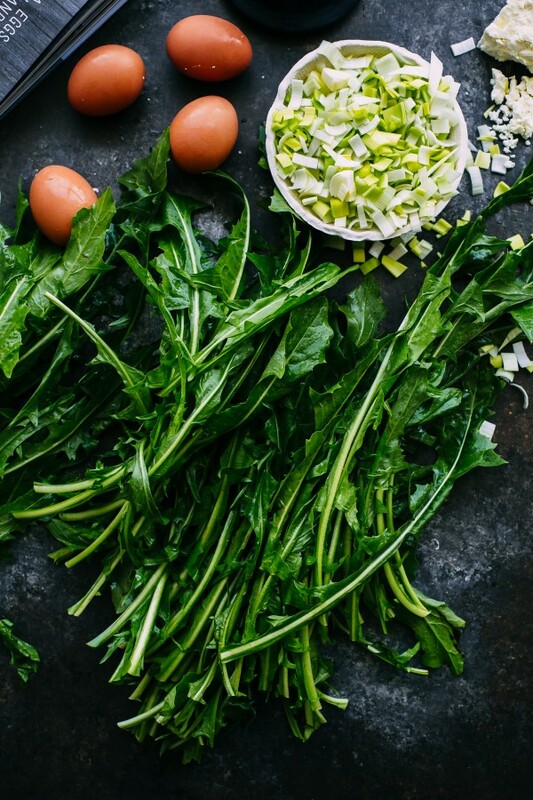 I used to only see dandelion greens at the farmer’s market (occasionally! ), but now I can find them at most basic supermarkets in the produce section. This recipe is from the beautiful Savor: Rustic Recipes Inspired by Forest, Field, an Farm cookbook by Ilona Oppenheim, which landed on my doorstep a few months ago. It is a gorgeous, coffee-table cookbook that celebrates rustic, nature-driven recipes. Similar to radicchio or endive, dandelion greens are naturally bitter. Generally the more bitter the green, the more healthy and nutritious it is! My biggest advice is to seek younger, more tender dandelion greens, as they tend to be less bitter in flavor. 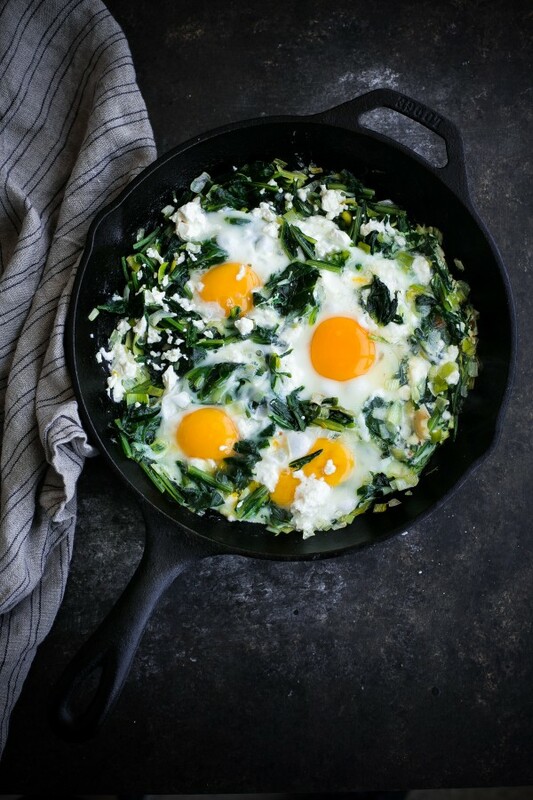 To help reduce the bitterness, the dandelion greens are also blanched briefly in salted boiling water before throwing this dish together. Sweet, sautéed leeks help balance the dish out (don’t skip those! 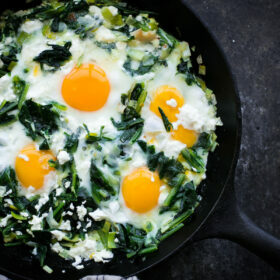 ), and the salty, briny feta and runny eggs bring the whole thing together! 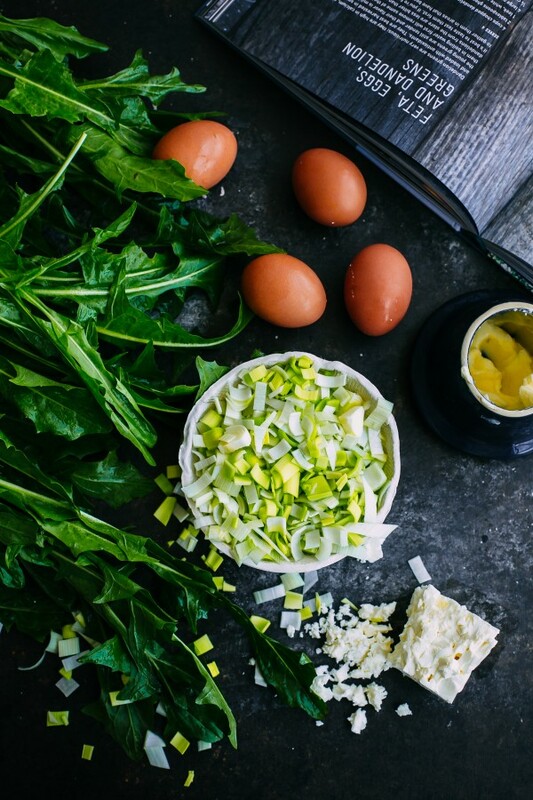 Paired with a crusty loaf of bread, this dish highlights the under appreciated dandelion green into an ingredient that I can’t wait to experiment more with in the kitchen, especially over the remainder of the summer months! Blanching the dandelion greens removes some of their natural bitterness.